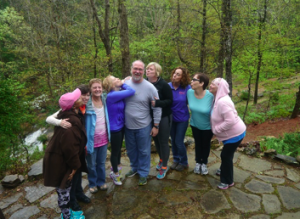 For the second year, Wind River Cancer Wellness Retreats and Programs in Tryon, North Carolina was the recipient of a grant made possible through funds raised at Get Your Rear in Gear – Charlotte. With the goal of growing their colorectal cancer program from the previous year, Wind River was able to use grant money to add additional programs and opportunities for the local colon cancer community. 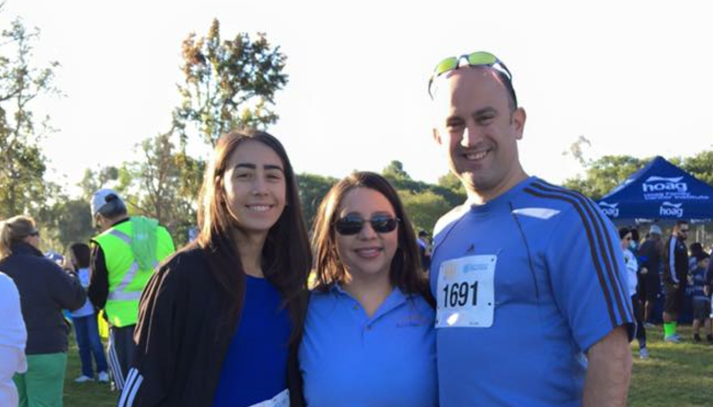 On and off site wellness programs, support for caregivers, and an effort to promote colorectal cancer screening broadened their reach within the Charlotte area. 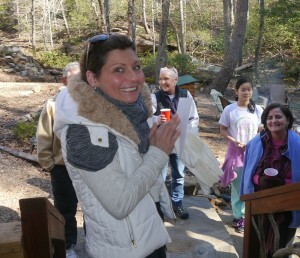 In the last year, Wind River was able to offer eight colorectal cancer survivors an all-inclusive four day retreat. 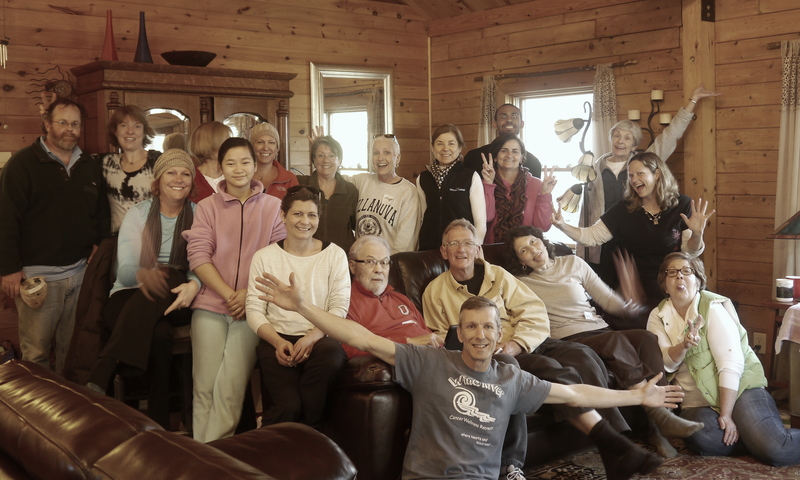 The retreat included talks on nutrition, tai chi and yoga, healing touch, art, music, and journaling. Those in attendance were able to share stories, offer peer support for coping with the many challenges of cancer, and form lasting friendships that will service each of them as they continue on their journey of survivorship. They sponsored a year-long colonoscopy challenge to help encourage and promote the recommended screening for colon cancer. Leading the challenge was Wind River Executive Director Shannon Carney, who hit that recommended screening age of 50 last year. She was truly leading by example in getting screened! They had over 20 people get their colonoscopy because of the challenge, and the North Carolina State Department of Human Services on Colon Cancer Prevention promoted the challenge and helped further spread their message about screening. At the encouragement of past colon cancer survivor alumni, Wind River also created a Survivor/Caregiver Stress Buster Retreat Day. 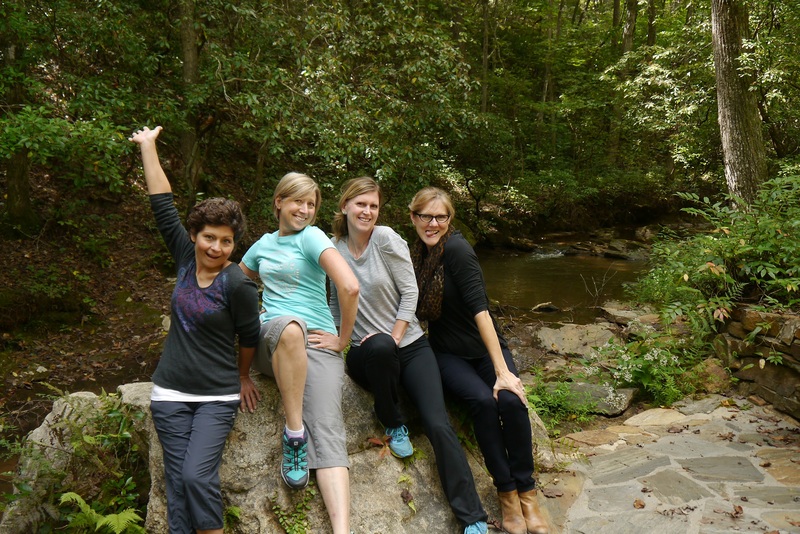 In its inaugural year, they hosted three different retreats for Charlotte-based survivors and their caregivers. Each day-long workshop included support and stress-busting activities to help cope with the burden of living with this disease. A special weekend away for a Charlotte colon cancer survivor and three of her caregivers/friends. The stage IV survivor stayed in a cabin on the Wind River grounds, and was provided some meals and activities to help restore and rejuvenate both the survivor and loved ones. Numerous one-on-one calls, emails, support cards, texts, and social media outreach with both past and future retreat participants, and survivors. Relaxation CDs and support for survivors attending last year’s Get Your Rear in Gear – Charlotte event. 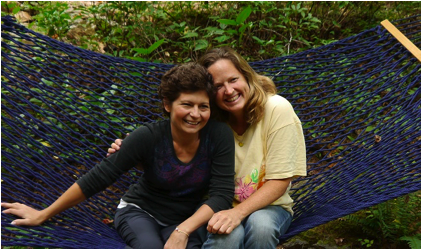 “Thanks to our Colon Cancer Coalition grant, our relationship is growing with the colon cancer community in Charlotte. As such, we have been adding additional ways to provide targeted support a broader audience of colorectal cancer survivors in their ongoing healing,” says Shannon Carney, Executive Director of Wind River. Get Your Rear in Gear – Charlotte is March 5th at Independence Park. Registration is now open, and you can find more information on their event page. Shannon, you are a gift to all whom you meet! Shelby and I both think that yesterday was magical. Looking forward to spreading Colon Cancer awareness in Asheville. Thank you to all that made yesterday the best day ever.